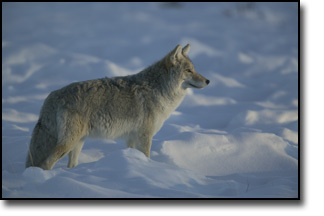 Coyotes in our area have long been overpopulated, creating an outstanding place to hunt. However, as in most areas in recent years we have had epidemics of mange so our numbers are down. They are still in very huntable numbers, just not like they were 5 years ago. However, the bright side of that coin is that the Bobcat population has really recovered. So the amount of action you get will be similar, just split up between the two species. You can still expect to have many more coyotes come in than bobcats. Coyote season is year round. Bobcat season is December-February only.